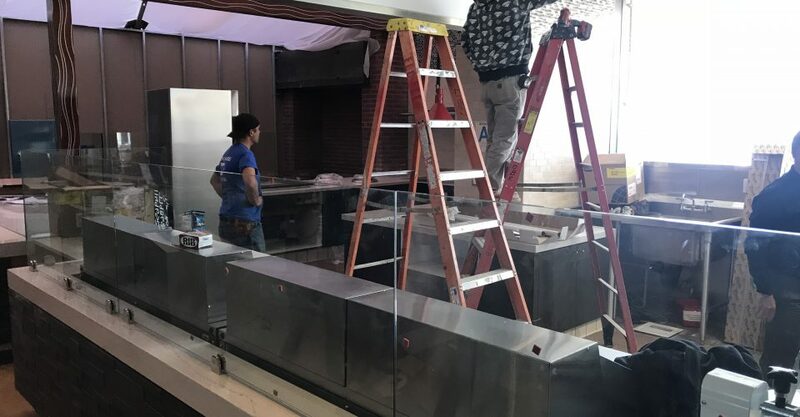 The Caf’s new pizzeria and noodle bar construction is coming to completion, but there are still a few steps before it is ready to be open. General Manager of Dining Services Randy Penwell gave the project a tentative March opening. “I’ve been saying mid-March and so that just kind of gives me some room between the 12th and the 20th,” Penwell said. The project is in its final stages, Penwell said. Last week he hoped to finish the plan check stage with the fire and health departments before moving on to the next stage. The plan check stage is when inspectors come to make sure that everything is being built according to plan. “There’s a whole bunch of things that have to go into this to get to the next phase of being open,” Penwell said. This includes putting the oven through a three-day burn process to eliminate any condensation and moisture within the oven. “There’s always invariably some delays in the project and then something of this type of scale and concept which is not all that normal in some respects,” Penwell said. Penwell said that even though he did not like the idea of a delay, he would rather finish the project later than have it be incomplete. Some students expressed disappointment that the noodle bar and pizzeria were opening so late into the semester. Senior Katherine Anderson said it would have been nicer to have the noodle bar open earlier in the year. “I mean a month is better than nothing, but obviously it would be cool to have it for a longer period of time because in that month, then it’s going to be glutted with students all at once so the likelihood of you getting to experience it in that month is not high,” Anderson said. Junior and Executive President of the Student Government Association (SGA) Austin Welch collaborated with Dining Services during the early stages of the project to give student input into the design. “SGA has been helping support it behind the whole initiative from the early beginning of when the concept was brought up, and over the summer SGA kind of renewed their interest and support for the pizza and noodle bar concept, and the administration and dining services were very open to hearing that,” Welch said. While dining services did not request any further input from SGA while construction was taking place, SGA looked out for issues that would affect students during the construction. Welch said that SGA brought students concerns about noise from the construction to the attention of Dining Services. They then tried to find a solution so that when the construction crew was working to have loud noise come before and after peak times. Welch also said he appreciated that Dining Services kept SGA informed as construction continued even when there were delays. “I think it’s good to make sure that students or I think student leaders in SGA are informed so that we can be the voice of the administration and dining services to our peers and let them know, yeah, we know its loud right now and it’s maybe not the most convenient thing,” Welch said. Senior Annie Sides, liked that there would be more dining options for students. 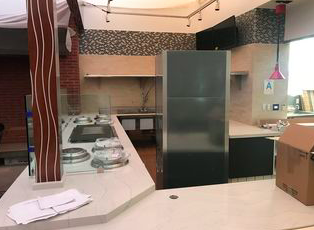 “I originally loved La Brea so I was kind of disappointed they took La Brea away and replaced it with sushi, but I’m glad that they’re adding on more features with this pizza bar, noodle thing and then keeping the sushi options,” Sides said. Welch said he was excited about all the new options that students would get when customizing a pizza. Welch highlighted the fact that the pizzareia will provide a variety of options for all students. 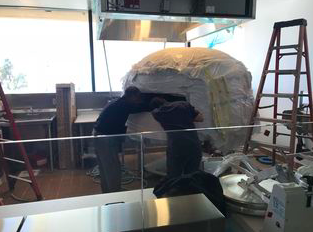 Studnets that have certain dietary restrictions, students that are vegetarians, gluten free, or dairy free will be able to follow their diets and enjoy the pizzeria. “You’re going to be able to meet those restrictions very easily and not have to just hope that and get the one vegan option or vegetarian option that’s being provided by the caf, but you can get your own type of pizza,” Welch said. Welch also said the noodle bar is going to be a great addition to the campus. 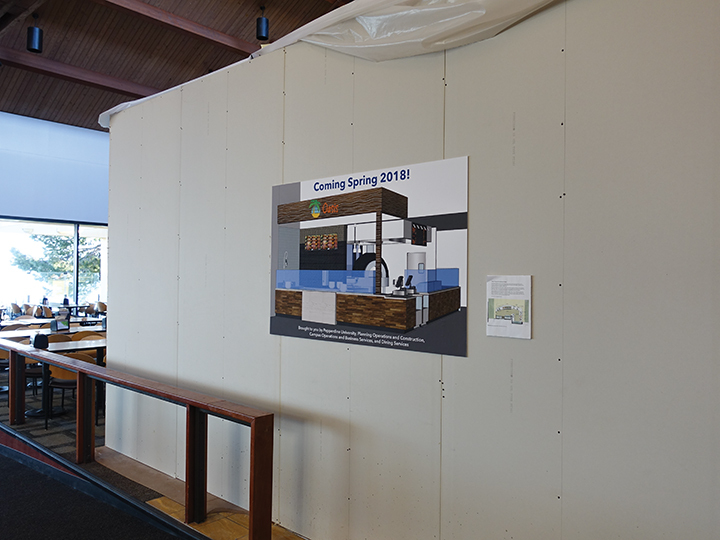 “I think a lot of students on campus love ramen and types of dishes like that, and I’m excited to see what options and what availabilities the noodle bar is going to have,” Welch said. Penwell said the pizzeria and noodle bar is just the beginning of more planned renovation for the Waves Cafe, patio area and the back of the house. 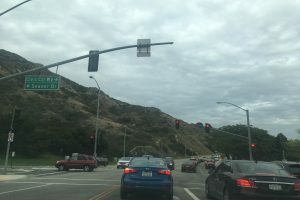 “Well I think this is really phase one of a bigger project that being talked about and planned on right now,” Penwell said.